With the rise in crime rates and the prevalence of terrorism, CCTV cameras have become an important aspect in our modern world. They can also be used for traffic purposes as well and this can make having them around a great thing. Not only does the unfortunate increase in crime and terrorism demand more CCTV cameras, but the convenience it can offer is also an excellent benefit. CCTV security systems installed in public places or retail markets can deter crime, provide the police with leads, help citizens feel safer, and improve the economy of a crime-stricken area. Most CCTV systems have now gone digital for improved performance, surveillance camera manoeuvrability, and quicker feedback as compared to analogue systems. It is important to be aware of and understand the implications of state or territory legislation that may affect the usage of CCTV and any images collected. The relevant areas to consider include but may not be limited to privacy laws, human rights, data storage and access, and freedom of information provisions. Many CCTV providers can recommend a scalable approach so that priority security needs may be addressed first, this can be in the case of some municipalities or businesses which are not being able to afford all of the necessary components of a CCTV system. Then, additional surveillance cameras can be purchased in succeeding years as the budget allows. Not only do monitoring cameras and digital CCTV cameras act as a deterrent to crime because of their visibility, but any good CCTV installer will be able to advise as to where best to install your cameras for maximum crime prevention. With our record as successful CCTV installers, we know which security equipment will work best in your situation, whether domestic, business or industrial. 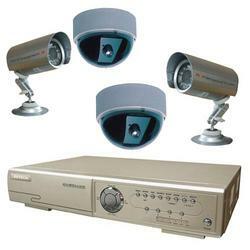 In addition, digital CCTV technology offers more than the usual advantages of monitoring cameras. Digital CCTV provides the enhanced capabilities and improved picture quality you need to more accurately control access and monitor movement in any given area. Digital CCTV systems will evolve into wireless CCTV systems that employ GSM (global system for mobile communication) or 3G (third generation) connections in the next few years. These wireless systems are completely portable and can deliver live images to a PC, an Internet phone, or a laptop. CCTV customers are also seeking IP-based solutions with LAN/WAN delivery options despite some lags in the technology’s image quality and frame rate. CCTV cameras also can form a worldwide network to prevent terrorism, but this international surveillance system would cost billions of dollars and would require extensive international cooperation.